a extremely application friendly Systems Administrator/Technical Analyst with knowledge of multiple platforms. I have worked as a consultant for numerous large scale companies which has given me access to a wide array of skills and application know how that I am ready to bring to my next position. Quality Control numerous Applications using the ARQC-Application Repository Quality Control and RCM- Role Change Modify) internal proprietary toolsets. 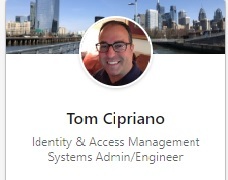 Ensure access a user holds within an application matches the access a user holds on record in the Vanguard systems, or repositories, CA Provisioning Manager, Sailpoint, UPODB/Access and VISA, on a daily weekly/Monthly basis. Research hundreds of Discrepancies and send to numerous internal departments for review and Remediation. (Four Discrepancy types: Application Only/Repository Only/Both but no match and Both with some matches. Business Functions are created or modified as requested from a approved BAM-Business Access Management Request and that any creations or modifications are within IAM Role Guidelines and VISA-Vanguard Information Security Administration guidelines. There are multiple discrepancy types, Including-Invalid BAM Request#, Deletions, Naming Convention Issues, Invalid Environment, Security Code Violation, Owner Violation, Incorrect or missing comments,Incorrect Description, and Termed Owner. We research the discrepancies based on UI, and current information within CA Provisioning Manager and Lotus Notes/Service Now and provide remediation comments, root cause and remedy steps. Create, Remove and Administer/Build/Provision access for all Employees and Contractors in Active Directory and SAP. 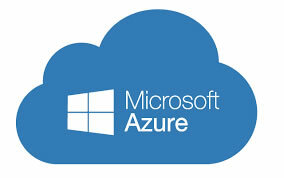 Create access to Drives, MobilIron, Lotus Notes, Outlook, Sharepoint. Numerous platforms in SAP. Add Roles in SAP according to FERC codes. CIP (Critical Infrastructure Protection) standard. FirstEnergy Nuclear Operating Company (FENOC), a subsidiary of FirstEnergy Corp., operates the corporation’s three nuclear power facilities: the two-unit Beaver Valley Nuclear Power Station in Shippingport, Pennsylvania; the Davis-Besse Nuclear Power Station in Oak Harbor, Ohio; and the Perry Nuclear Power Plant in Perry, Ohio. Went from Notes to Outlook and Sametime to Lync to Skype Business. 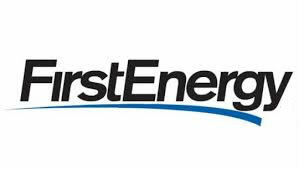 Attended CSA Team meeting at West Penn Power/Allegheny Energy in Greensburg, PA for FIM training. **Add SAP Roles to every SAP Box/System within the company upon approval. 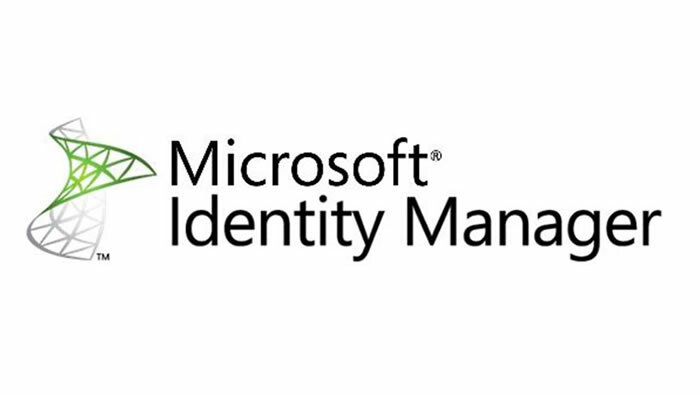 **FIM-Forefront Identity Manager-Microsoft-Now Controls Active Directory-Middleware they are slowly moving toward automated security groups based on positions/FERC and more self service access with the roll out from 7.0 HP Service Manager to 9.0. ITSM Software. 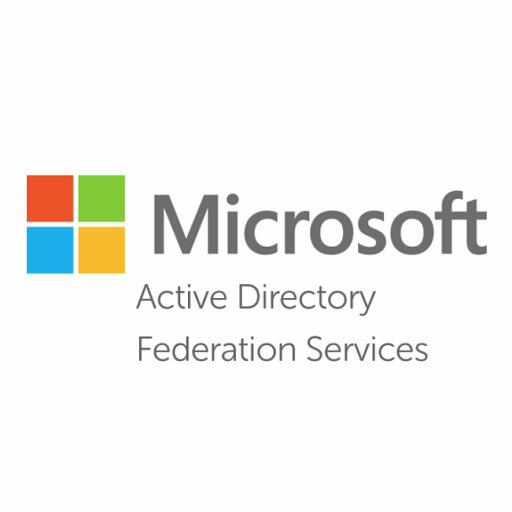 **Run PowerShell Scripts for FIM in order to add bulk users and numerous bulk groups to Active Directory. Support Business Class customers (Central Division Michigan Indiana,Illinois,Tennesee,Virginia,South Carolina,Georgia,Alabama, Mississippi Kentucky,Arkansas, Louisiana and Florida) work with numerous systems and applications.Troubleshoot networking issues,also support Business Class Voice and TV.Telnet troubleshooting appliances on the network configure security cameras/dvr, port forwarding. 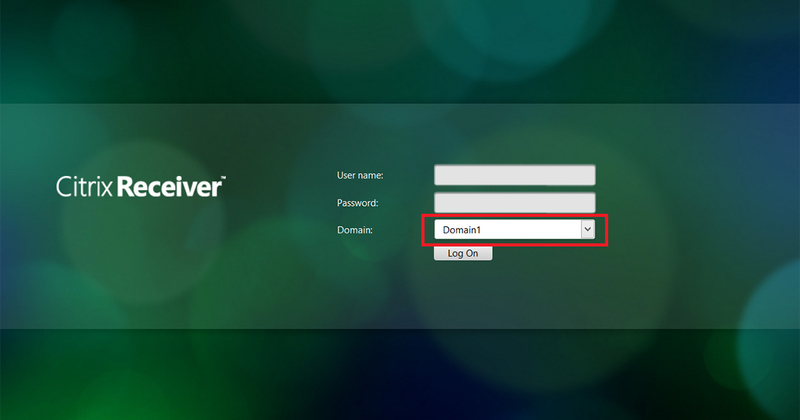 Assign public/private ip address in SMC gateway. Email setups imap-pop3 issues. Web hosting domain name setup on business class portal. Explain phone portal setup and troubleshoot phone issues. Create numerous tickets in BMC Remedy.Build Static IP's Block of 1,5,and 13. Work with ACSR, Comtrec/AWD, DST, Watchtower and more.2012 National Incentive F.A.R program for the fiscal month of July winner. Handle up to 50 technical troubleshooting calls in an 8-hour day.2012 National incentive program for Business Services FAR. Update and edit IND=Investigational New Drug and NDA= New Drug Application submissions so that they meet Submission Ready Component Standards set by the FDA=(Food Drug Administration). Use the WSST Wyeth Submission Style Template when updating documents for quality review in MS Word format. Perform quality reviews on large scale PDF documents. Modify documents (Charts, Graphs,Pictures,Tables) with WSST toolbar in Word 2003 add TOC,LOT,LOF,Bookmarks,Hyperlinks,and annotations. Sample Document Upload to EMC erooms and Draft EDMS where document is converted to PDF and reworked according toWyeth specs. Once Document is perfected it is moved to EDMS Final and is emailed to all necessary parties for packaging in Regulatory Affairs/Submissions Management. Work on eCTD=Electronic Common Technical Documents,Batch Records in EDMS=(Electronic Data Management System AKA Documentum) and the internal eSS=Electronic Submission system which is used to assemble and review electronic Common Technical Document (eCTD) submissions as well as other electronic submissions such as eNDA and eIND. Navigate and check out files and create different Renditions of documents in EDMS. Went through multiple CBT and extensive classroom training to gain access to systems. Use Acrobat 7.0 with Compose and ISI Toolbox plug ins. Work in Dossier Development eroom by emc2-Documentum eroom Content Management product. SRC 101 & 201 Training in Pearl River, NY. 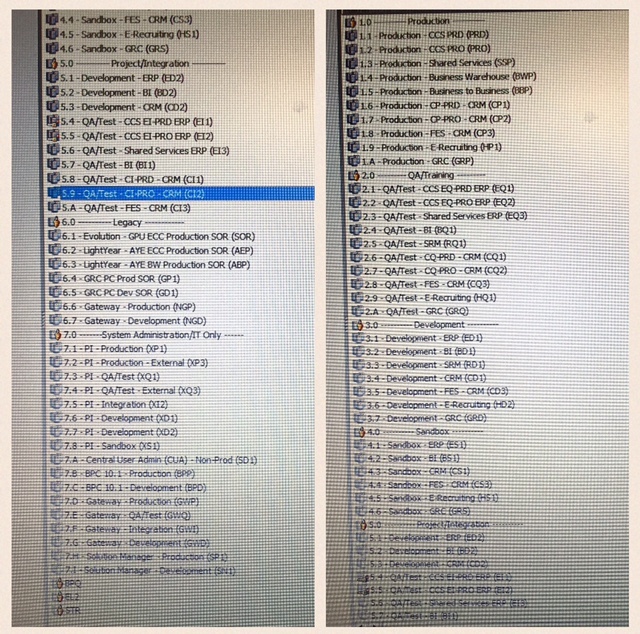 Currently handling all PR/PO's in SAP SRM application. Working with all departments to revamp and streamline process. Also using Recruitment Management Application called Projectix First Advantage to enter and modify Job Requisitions thru the hiring process. Working on year end Partner reports for Research & Development - Neuroscience Project Management. Taking survey data from Inquisite software and exporting it out to numerous Spider and Line Charts in Excel and PowerPoint. Handle all Active Directory resets and password issues. Setup new Notes users help archive files and troubleshoot Notes accounts. Remote computers using Dameware, Hyena, Real VNC, and Windows Net Meeting. Work with Networking issues wireless and wired. Help hook up wireless routers and Checkpoint VPN issues with people working Remotely. Download software from server to desktops or laptops. Provide on site support in East Greenville. Physical and Remote troubleshooting ofLaptops, Destops or Printer Devices. Help Setup new computers and load new images to the floor from the server (Thin Client). Add Network Printers in remote offices across the United States.Add to DHCP Server. Enter all tickets including Critical Calls into GWI in Lotus Notes. Monitor log files on Lotus Administrator and reset quotas and warning messages. Lotus Notes, Lotus Quickplace, Lotus Quikr, Lotus Same Time, OS/400, JDE World, Printing Systems, Desktop & Laptop Hardware, LAN/WAN, Microsoft Office 2007, Anti-Virus, Spyware, Checkpoint VPN, TCP/IP Networking, Dialup, Broadband, DHCP, Vista, Wireless Technologies, Postini, Email Systems, GWI Ticket Tracking Software, Account Resets, Desktop System Reloads, BART Boot Disk, SMS Repair and install Hard Drives, & Memory Upgrades. SAP HRIS PA=Personnel Administration and Organizational Management. Process New Hires/EAN for all Domestic US offices. Update and process Payroll and LOA requests. Run daily reports in SAP. Manuever through multiple infotypes in SAP HRM. 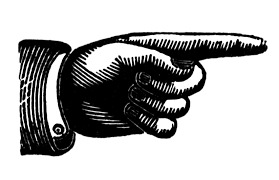 Manipulate and delimit data. QA other Analysts for SOX compliance. Verify SAP # and GID Global ID in Organizational Management Module before processing in PA-Personnel Administration Module. Process Bonus and Promotions updates in SAP. Scrub and pull data from Vurv-Recruitmax into SAP PA.Trained with Accenture. * Major Accomplishments:Working on migration project from SAM to Computer Associates Etrust Admin Application. SAM is a old mainframe application system and Etrust is a newer windows GUI application. Verifying old profiles creating numerous spreadsheets and reports for the conversion process. Tracking and QA application by running and creating testing scenerios in a DEV environment before application moves to production. Attending numerous team meetings and daily updates per departments to track and monitor key issues and daily progress. Resolve BAM, PAM and CAM requests from all internal departments through Lotus Notes smart forms. Create modify and update Roles and Policies in ACF2 and Active Directory as well as SAM and Etrust Admin. Putting together training manuals in Powerpoint and training crew members on all the functions of Etrust Admin. Processing VISA (Vanguard Information Security Administration) requests for New Hires, and Job changes. Apply Application Groups to RC and Job Code or create Custom Profile Groups to restrict access. Grant access to numerous databases in Oracle Enterprise Manager.Grant access in numerous platforms Windows/Active Directory,Sybase,SQL,Oracle and Unix. Also updated and created Cookbook policy and procedures in Lotus Notes and updated and administered access for Lotus/Domino databases. Administered access for Rightfax , Pershing NetExPro, Event Calender, FileNet, FedEx, Institutiional Communication= ICOMM,Pinnacle/Tide,ROM Retail Order Management, SMS Remote Access,VISTA,VISION, Compass, and Guardian. Also administered access for DST's Automated Work Distributor (AWD) is a comprehensive business process management (BPM), imaging, workflow, and customer management system. * Major Accomplishments: Advised and registered customers for SAP training. Worked with all SAP customers and helped register employees for certifications and training. Increased training profits by 25% Met daily goals of 300,000 + daily. Made several changes to workflow to help increase productivity and streamline team efforts to attain daily goals. Worked in SAP R3 applications to track and register students in real time. * Major Accomplishments: completed high quality submissions following FDA regulatory guidelines and internal processes within timelines. Prioritized all tasks involved for timely completion. Helped team by validating changes in submissions for Tygacil, Enbrel, Premarin, and Mylotarg using Adobe Acrobat 4.0 and 7.0 publishing software. Inserted Bookmarks, TOC, links and Distilled documents internally and externally. Pulled documents from Knowledge Management software called EDMS aka Documentum. Used Compose and ISI Toolbox Adobe Acrobat plug-ins. 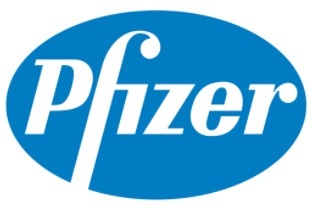 Contractor for Regulatory Affairs/Submissions Management. Handle and distribute EULA's Marketing Agreements, Test and Demo Licenses, SDK, NDA's, Partner Agreements, Maintenance Agreements, and Rider 1 Contracts. Work with EBP SAP's E-Procurement System and ISP which is SAP's R-3 application(R=Real Time, 3=3 Tier). Distribute Marketing Materials and supplies for Partners, Customers, and Team Members throughout the US. Schedule and conduct Partner Webex's and Goto Meeting's. Update Partner Portal website. Handle Training Registration and questions concerning certification for Sales and Consulting Training. Track Sales B1 Leads. Maintain numerous Spreadsheets in Excel. Make sure Bills are payed for Vendors. Create PR's and PO's in ISP Enjoy Purchasing. DHL Contracts and Welcome Kits to SAP Partners. Assist Vice President of Business One with daily tasks as well as Channel Sales Managers, Partner Recruiters, Consulting & Pre-Sales Trainers and Technical Support.Conduct Netmeetings and use Citrix Metaframe to connect to German Business One Application. Also maintain information in Business One in regards to Partners, Training and Sales. Make suggestions on how to improve content and navigation on US Portal so Partners are able to get to the information faster-(Knowledge Management).Conduct Competitive studies. Virtua, Caesars, Ballys Park Place, Hilton,Computer Science Corporation, Feds, & Agilent Technologies are some of the groups I serviced in New York, New Jersey, and Delaware. Worked for the Amerihealth division. Answered questions involving HMO/POS coverage in regards to health benefits and solved problems related to claims, prescriptions, and billing. Involves multitasking with numerous and extensive systems such as SLIQ 4.0,POWER MHS - Computer Science Corporation,VALL,SLIQ,INFO,Mainframe AS/400 and Merck Medco ESD just to name a few. Completed an extensive 12 week training course at IBX. Dealt with billing, DX Codes and Procedure Codes. Explain to members how HMO's/POS, Open Access & Flex Plans work research and look up numerous plans (TOC). Explain Deductibles and Co-pays and advise and educate members how to have procedures done according to their benefit plan. Explain how POS and PPO and HMO's work. Explain and educate members on Deductibles, Referrals, Allowed Amounts, Capitation, Coinsurance, Medicare, and Precerts. Correct and update enrollment problems additions and subtractions. Explain how Cobra works. Also explain IHC Individual Health Coverage. Designed Digital Dashboads to get to the different applications and Internet sites using Flash MX. Handle inbound and outbound phone calls for all Consumer related issues related to Exxon Mobil (Forbes #2)Gas Stations, Convenience Stores, Chemicals Div., Lubrications Div, and Mobil One Oils. Create contact summaries in Firstwave CRM internet based application. Reports are related to customer complaints, concerns, injuries, or accidents. Facilitate for the Customer, Station Manager and the Territory Manager. These Contact summaries or reports are then tracked through Firstwave documenting all comments from the customer and employees. Letterhead is issued and tracked as well as emails and phone calls. Reports are then faxed to Distributors, Station Managers, and emailed to Territory Managers that over look the Stations. Work closely with Risk Management and deal with Lawyers, Auto Dealers on a daily basis. Also trained and handle Fuels Qualities calls. This deals with customers that think they have received bad gas at a station. This usually is the result of water getting in the gas. Also handled Auto Repair Complaints from the Stations throughout the US. Handle over 17k service station throughout the USA. Search for stations in Firstwave and internet web sites. Record and document spills at stations and notify Osha and First Response for emergencies. Conducted Retention studies by calling and gathering statistics from cellular users in the West Coast Fresno and Spokane markets. Ran daily/weekly/monthly reports and spreadsheets from access and excel scrubbed data. Cross sold services and hardware and upgraded and educated consumers on cellular calling plans. Worked in P2k system which is proprietary to Sprint PCS. Added new subscribers deleted old cell plans and added new users hot wired phones. Reviewed cell plans and explained many options available to user's. Answered questions related to 3G-and future technical wireless applications. Negotiated prices and reduced costs by eliminating unnecessary Internet Sites. Support 7+ Resource Specialists and Numerous Hiring Managers with qualified technical resumes of candidates on a National scale. Use cutting Edge tactics (X-ray, Flip web sites, Gain Access). Trained on and use BrassRing Enterprise Recruitment Software on daily basis. Work closely with teammates and attend corporate meetings on a daily and weekly basis. Recommend and research new and potential sources for pooling stellar candidates. Extensive knowledge and understanding of numerous Technical Terminologies and Life cycles within the IT arena. Source candidates on a National scale for Hiring Managers. Screen & Qualify potential candidates. Research and source competitors nationally. 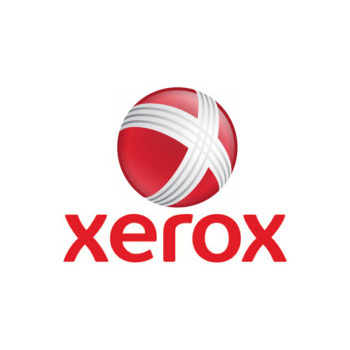 Responsible for Internet Strategy at Xerox Connect. Mentor and train team on new web sites and technologies. In addition I recruit Upper Level Technical and Sales Leaders in a consultative environment (Principals, National Solutions Architects, Directors, Application Developers, Solution Engagement Managers, Sales Executives and more!) Participate in (Needs Audit) with Hiring Managers and Resource Specialists. Certified in behavioral based interviewing through DDI. Worked on internal Web Design Team as Project Manager to upgrade the external employment web page. Researched numerous job boards to add enhancement to content and navigation. Heavy daily Internet recruiting for specific hard to find niche positions on a national scale. Recommend new and alternative areas for recruitment on the internet. Attended numerous career fairs in the Delaware Valley area (Tech-Expo, Professional Exchange). Maintained job descriptions on numerous internet sites.Trained by Breckenridge Group. Interviewed logged and tracked applicants in ACT database. Participated in daily and weekly meetings with President and Sales staff. Recruited ABAP,SAS,JD Edwards/Peoplesoft Programmers. In charge of resume distribution between key managers. Electronically process & file resumes with custom database software according to EEOC standards. Create and disperse job ads through, Newspaper, Internet, Intranet, & Industry Papers. Work with benchmark ADP Software-Career Builder, HR Perspectives, MS Office (Word, Excel, PowerPoint, Access, & Knowledge Alliance.) Keep track of all ad expenses and create monthly & Friday Reports. In charge of scheduling & implementing new computer training courses. Register and track training for all employees. Create Job Descriptions. Managed hiring process of Information System dept. 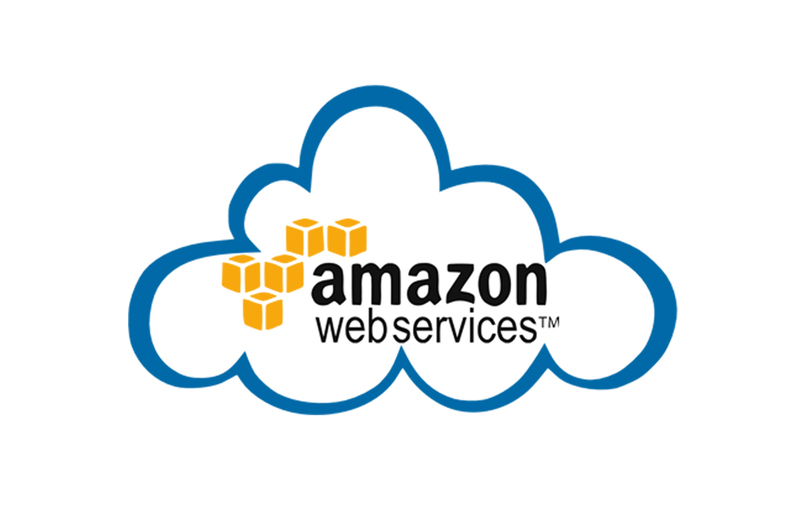 for Network Administrators, Help Desk, and VB Programmers & Database Administrators. Schedule & conduct interviews. Update company web site and Microsoft outlook postings for all offices. Negotiate rates with Temp Agencies, process timecards, and communicate with managers and Temp Agency personnel. Evaluate and participate in salary survey information with Watson Wyatt. Research and report on Generation X employment habits and develop a strategy for retention. Recruit with local colleges and participate in internships.